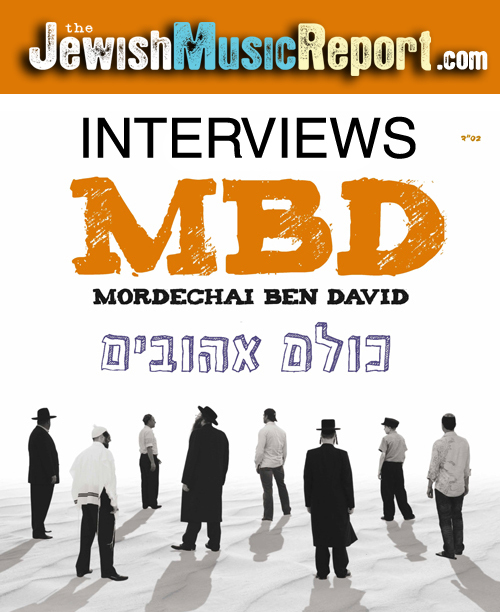 Mendel the Sheichet Interviews Mordechai Ben David! Mendel the Sheichet of the JewishMusicReport got the chance to interview one of Jewish Music’s most legendary artists. Mendel discusses many topics with MBD including his brand new album and the involvement of Yeedle, Lipa, Aaron Razel and others in this new CD.